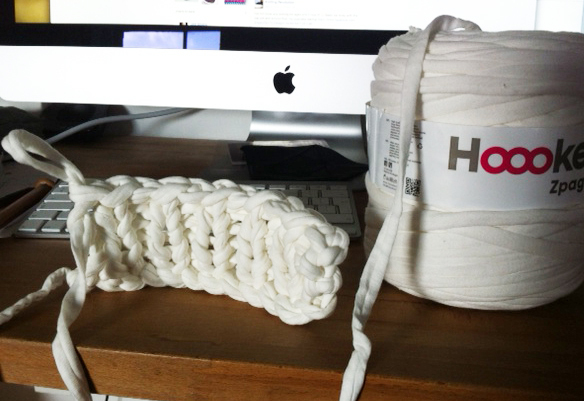 One of the reasons I fell in love with knitting is the wool. The texture, colours, feel and even the scent of pure wool were very appealing – and still are. 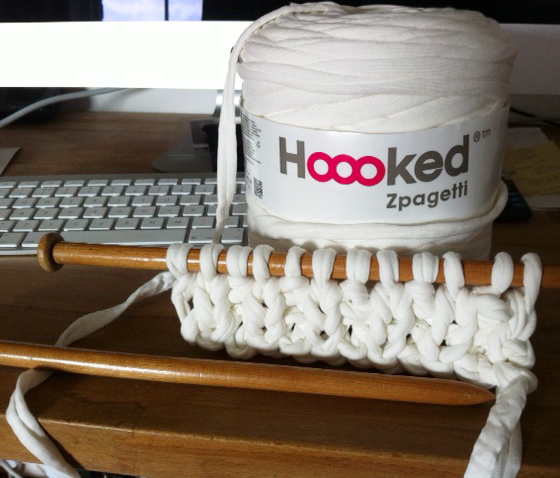 When I was little I used to go and stay with my aunt who was a spinning and weaving teacher. 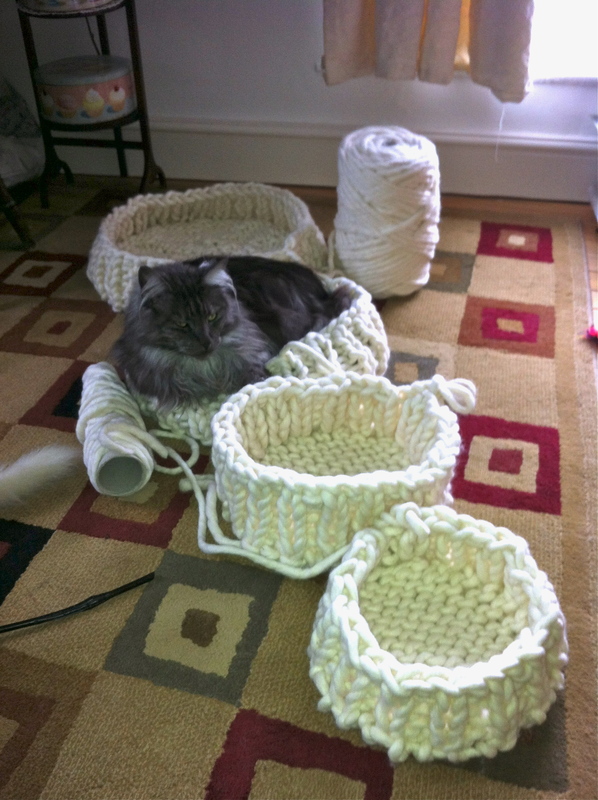 Needless to say she always had a wool-related project to keep me amused. I remember sitting in her garden one summer’s day, handling some raw wool fleece. My job was to loosen the fibres by tossing it into the air, teasing it out, and letting the air in. I loved the feel of the wool under my fingers and the scent of lanolin it left behind. To this day, handling pure wool is happily evocative of those times. 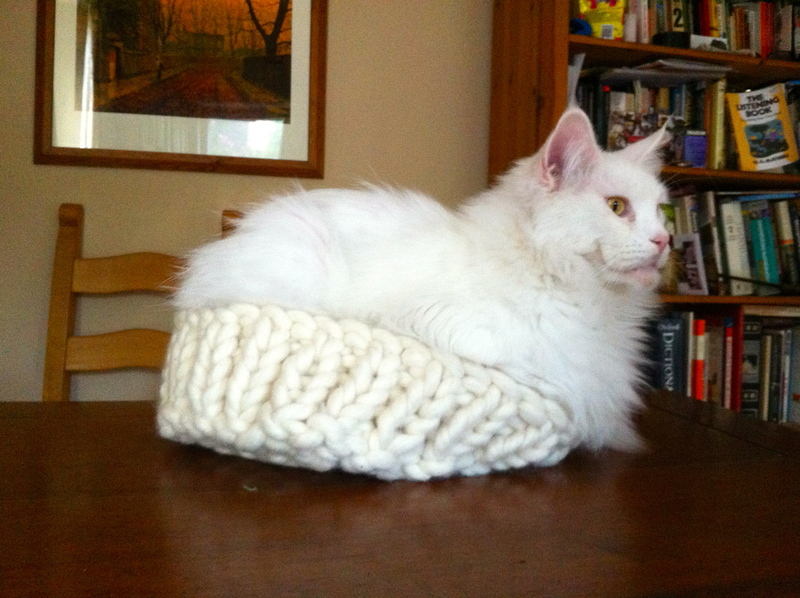 The giant wool I use for my baskets and cat caves is not that far removed from raw fleece. It’s had minimal processing and still retains its characteristic aroma. 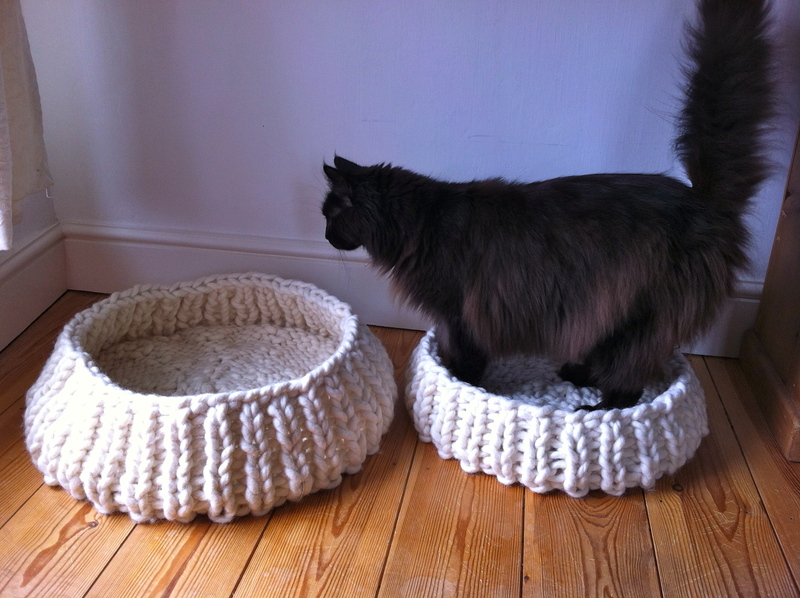 I had a lot of fun devising my giant wool baskets and my cats love modelling them. 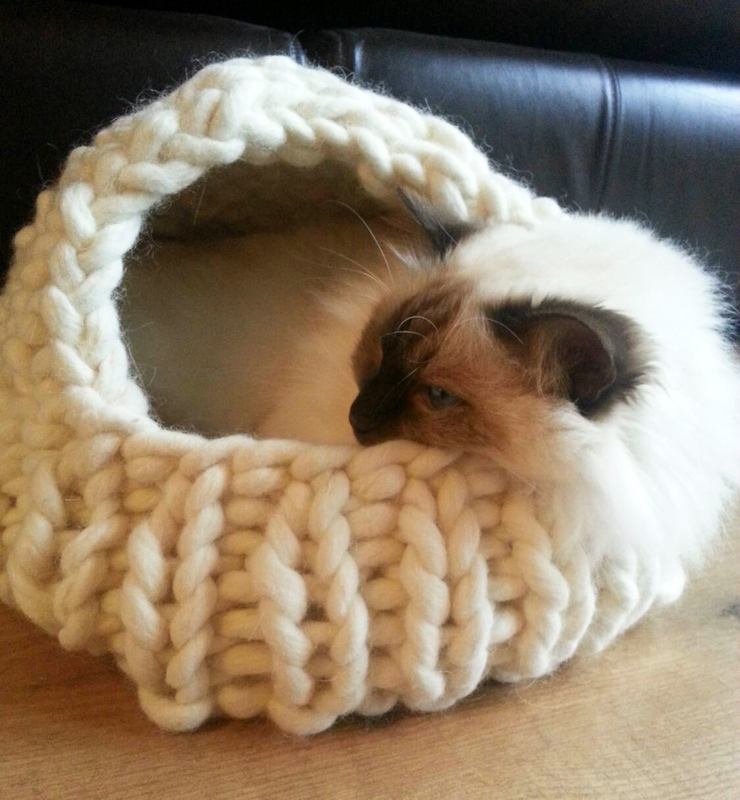 So I was thrilled this week when my extreme knitting cat baskets were featured on the Ovis-A wool blog. Many thanks to Katherine for the mention! Ovis-a.com is a new site which aims to promote and celebrate British wool and wool designs. From their Facebook page – “The overall ethos is to promote a forward thinking and contemporary way to showcase British Wool products, using a directory and showcase service.” They are also on Twitter. 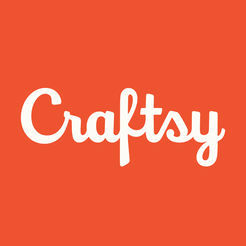 This is a great idea and I wish them all the best with their venture! Looks like Merlin got his Christmas present early! It’s wonderful to have such happy customers. Many thanks to Merlin’s mum for sending these great pictures. 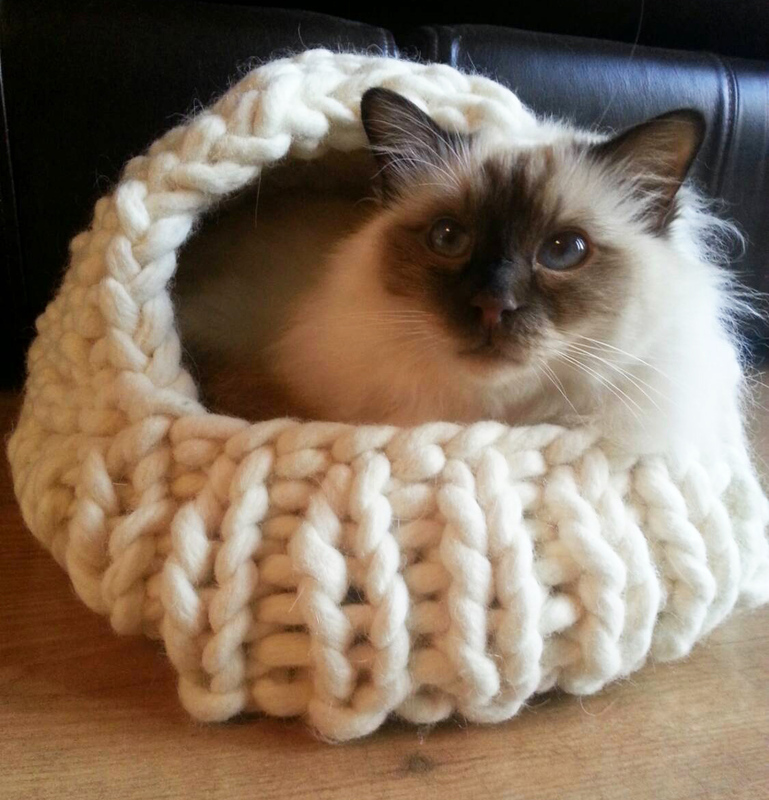 Merlin is a Birman – and doesn’t he make a stunning model for the Cat Cave. My cats are too big for it. Monty once tried to coil himself snake-like in the Cat Cave, but only managed to roll himself upside-down and out again! How I wish I had that on film, it was priceless. 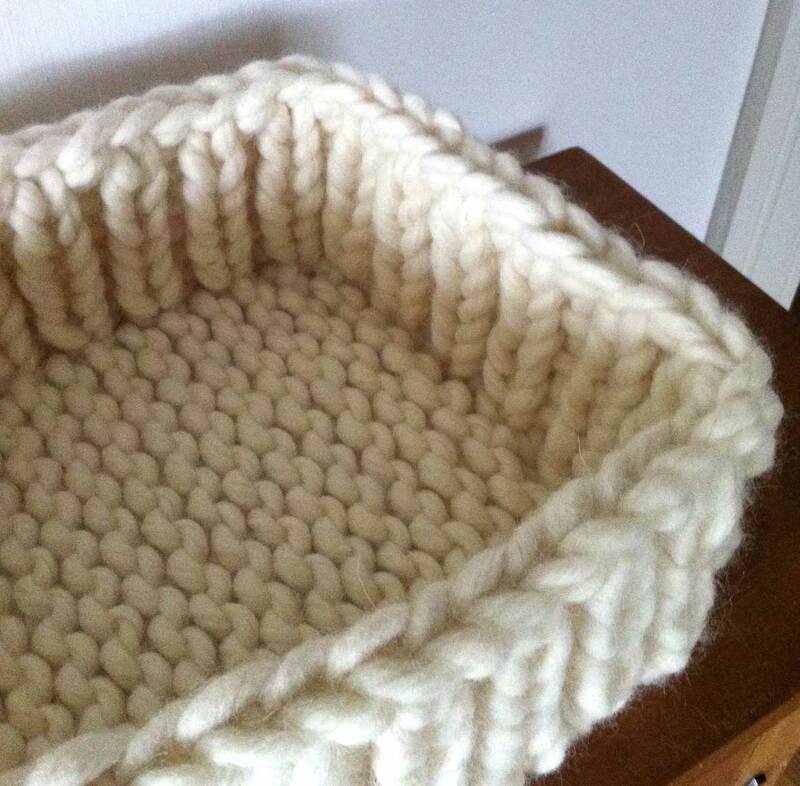 I just finished a custom order for a Cat Cave and a 14 x 10 inch basket. The customer’s name was Merlin so I made this special label for him. Too cute! This is going to be his Christmas present. 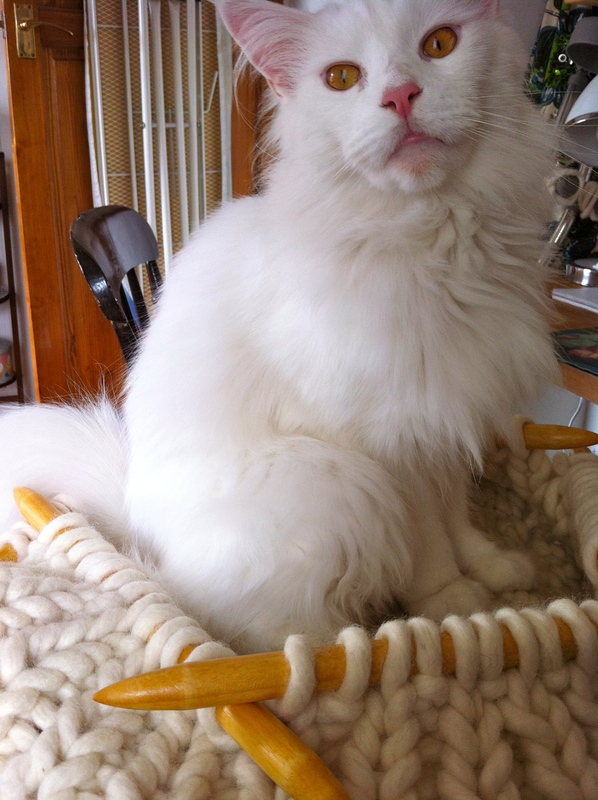 And the basket is for storing all his toys! 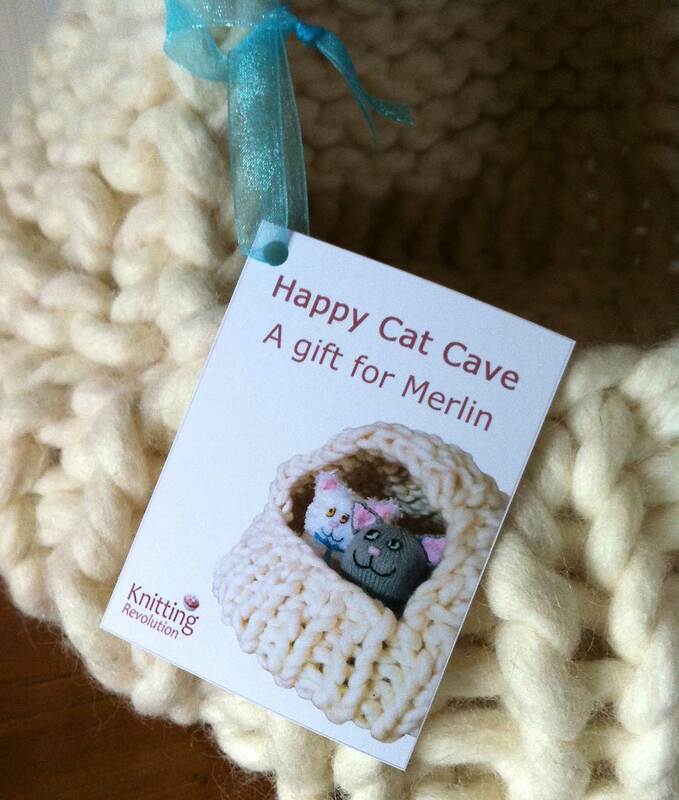 What a lucky cat Merlin is! 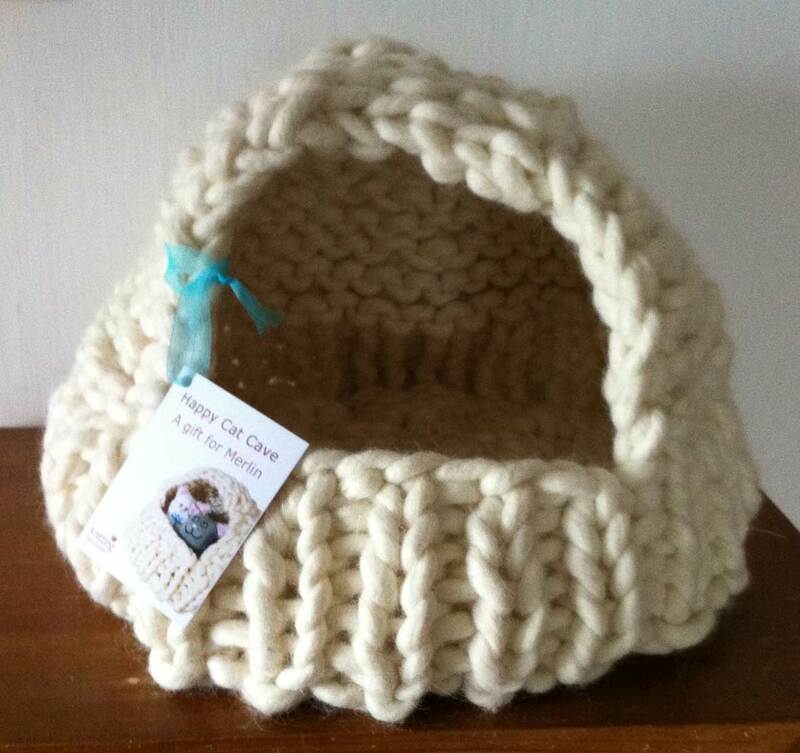 The Cat Cave in all its glory can be viewed on Not On The High Street, along with the cat baskets and other extreme knitting goodies. I am also adding some cats and knitting-related fine art prints in the coming days!